Buyers will find a huge selection of condo developments in Charleston, South Carolina. Most condos in Charleston are located close to the downtown Charleston area in suburbs like James Island, Mt. Pleasant, West Ashley, and Daniel Island. You'll also find waterfront condos in the many beach communities in Charleston - Folly Beach, Isle of Palms, and Sullivan's Island tend to be the favorites among home buyers. Other beachfront communities like Wild Dunes, Seabrook Island, and Kiawah Island offer condos with resort-style amenities but are also some of the priciest. The Charleston Real Estate condo market sees a huge demand from buyers for many reasons. First, most condos in Charleston are located close to downtown Charleston or to one of the beaches. Condos offer the best location at some of the most affordable prices you'll find in Charleston. Second, most condo developments have amenities like pools, elevators, tennis courts, parks, and walking trails. Some even have dock facilities. The third benefit is that Charleston condos make great second homes or vacation homes since they require little to no maintenance. Buying a condo is like buying an apartment since condos usually share multiple common walls and have no yards by definition. If you're looking for a good location, amenities, and low maintenance living, condos will give you the best options, especially in price ranges under $250K. To find the perfect home for you and your family, check out all available listings in our Charleston Real Estate MLS. Great opportunity on James Island. This unit is located minutes from downtown and Folly beach. Most of the condo developments are located in historic downtown Charleston or its nearby suburbs: Mt. Pleasant, James Island, West Ashley, and Daniel Island. Condos are excellent real estate choices for buyers looking for great locations or views that you simply can't find in houses of the same price range. Mount Pleasant is one of the most popular destinations for people moving to Charleston, so it has the largest selection of condos for sale at any given time. Condos in Mt. 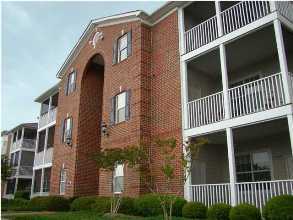 Pleasant are close to the beaches, downtown Charleston, shopping, and restaurants. James Island and Folly Beach condos are reasonably priced and are located as close as you can get to downtown Charleston. Folly Beach and James Island are the best options for people looking to buy a condo in Charleston in an area that has a small town feel but still a good proximity to the city (less than a 10 min. drive). When buying a condo in Charleston, one of the most important things to consider is the total monthly cost of one condo relative to other condo communities in the area. When you estimate the costs, you should consider the regime fees (or home owners association fees) as much as the list price of the condo. Charleston condo regime fees typically include exterior maintenance and insurance. These fees usually run around $200-350 per month (and sometimes considerably more, depending on the community). Buyers need to take these costs into consideration when choosing a condo because the regime fees need to be about the same price as similar condo developments in the area. If the regime fee of the condo you want to buy is considerably higher than average, the price and value of the property can be hurt in the future. Another equally important factor to consider is the current supply and demand for a given condo development. Some areas in Charleston perform better than others when it comes to resale. Knowing which areas historically perform better will mean a higher appreciation over the time that you own the property. Choosing the right area can also mean a quicker sale when it comes time to sell the property in the future. The last two things to consider when buying a condo in Charleston are location and age. As condos get older, they need major renovations such as new siding and new roofs. These are expensive repairs, and the only way to pay for these repairs is to spread the cost out evenly among all condo owners. Renovations sometimes result in an increase in regime fees or a lump sum fee paid by the home owners. Making improvements will help the value of the condos, but it can also raise the cost of these condos tremendously. Location is a factor for all real estate Charleston, not just condos. Typically the price of the condo will correlate with the location. Make sure any condos that you consider are in or close to the city. The areas further inland (like Summerville and Goose Creek) generally don't attract condo buyers because they're too far away from downtown and the beaches. Condo buyers generally want to have a close proximity to shopping, restaurants, beaches, and things to do in the Charleston area. So, keep this factor in mind when comparing areas and communities. Examples would be John's Island, Mount Pleasant and James Island Real Estate. For more information regarding real estate in Charleston, and buying tips, check out our Charleston Real Estate Guide!